The Kane County Cougars are offering their third annual peanut-free night. The game is scheduled for 6:30 PM on Wednesday, July 8, 2009. For more information, visit the Kane County Cougar website at http://www.kccougars.com/20090624peanutfree.html. "Tickets for the Peanut-Free Night can be ordered by calling the Cougars at (630) 232-8811 or clicking - here -. Ticket discounts for groups of 20 or more are available as well. 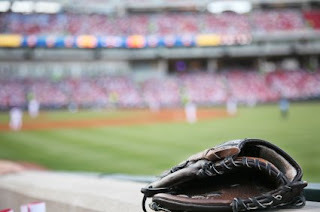 That evening, gates to Elfstrom Stadium open at 5:30 p.m. and first pitch is scheduled for 6:30 p.m."
Frederick, MD – (June 1, 2009) When it comes to the dangers of food allergies, Dr. Lourdes Brigida Hunter wants Keys fans to know the score. For someone who is allergic to peanuts, a fun night at the ballpark can turn into a medical emergency. To raise awareness about the dangers of peanut allergies, Dr. Hunter is sponsoring “peanut-free night” at the Frederick Keys baseball game on Thursday, June 25. The Keys will be taking on the Winston-Salem Dash in the first of a three-game series. To prepare for the event, Harry Grove Stadium will be washed down multiple times prior to the game to create a safe, peanut-free environment for allergy sufferers. Members of Dr. Hunter’s staff will be on hand to provide information about allergies and award a door prize. One of Dr. Hunter’s patients will have the honor of throwing out the first pitch of the game. “An allergic reaction to peanuts can cause symptoms ranging from minor irritation to a life-threatening condition called anaphylaxis,” said Dr. Hunter. “People with peanut allergies are always at risk of having a serious reaction, even if symptoms have been mild in the past.” An allergist can conduct a skin test to confirm the existence or non-existence of peanut allergy. Dr. Hunter is a Board Certified Allergist at Frederick Allergy and Asthma Center located at 201 Thomas Johnson Drive in Frederick. For more information call 301-360-0776 or www.frederickallergy.com. The Wisconsin Timbler Rattlers will host a peanut-free game on Wednesday, July 8, at 7:05 pm. "Appleton, WI - The Wisconsin Timber Rattlers are giving fans with peanut allergies a chance to enjoy a baseball game. The Timber Rattlers will hold their first ever peanut free night during their game against the West Michigan Whitecaps on Wednesday, July 8 at 7:05 p.m.
All peanuts and peanut products will be moved off site and the entire ballpark will be cleaned to remove as many of the leftover peanut shells as possible. Any product containing peanuts or nuts, including sunflower seeds, will not be sold during the games. Peanut free night also means no sunflower seeds for the players on the field. "On Sunday, June 28th, the Birmingham Barons will have their Peanut Free Night. The Barons will be taking on the Mobile Bay Bears and the game will start at 5:05 ct. Following the last game of the prior home stand on Sunday June 21st, Regions Park will be pressure washed and all concession stands will be cleaned for peanut free night. All peanuts and peanut related products such as M&M’s and Snickers bars will be removed from the stadium. Also fans bags will be checked as they enter the stadium to ensure no peanuts are brought in." Peanuts not ballpark treat for everyone. Very glad to help make finding peanut-free and food-free seating at baseball games a little easier. 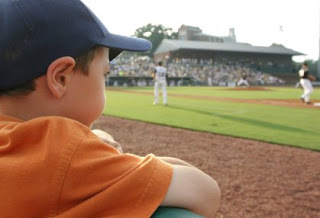 Althought peanutfreebaseball.com has only been around for a few months, I collected info on peanut-free and food-free seating last year as well, for foodallergybuzz.com, my primary site. There was SO much information, a dedicated website seemed appropriate for this season. If you know of a peanut-free or food-free seating area or game which should be included, please feel free to email the info to me at jenniferATfoodallergybuzz.com. Thanks! I did not hear about this game until after the fact, but it is worth recording here for next year. The Schaumburg Flyers opening night on May 22 was peanut-free. Those of you in the Schaumburg, Illinois area who missed opening night this season may want to make a mental note of this peanut-free event for next season. COMSTOCK PARK – The West Michigan Whitecaps will soon give fans with peanut allergies a chance to enjoy a baseball game. The Whitecaps will hold peanut free days during their games against Quad Cities on Tuesday, May 26 at 6:35 p.m. and Wednesday, May 27 at 11:00 a.m.
All peanuts and peanut products will be moved off site and the entire ballpark will be cleaned to remove as many of the leftover peanut shells as possible. Also, any product containing peanuts or nuts, including sunflower seeds, will not be sold during the games. Timon added the Whitecaps’ vendors are on board with the decision to go peanut free. This will be the seventh season that the Whitecaps have offered peanut free days. “Peanuts are as much a part of baseball as a home run,” said Whitecaps Director of Marketing and Media Relations Mickey Graham. “Unfortunately some fans aren’t able to come out to the ballpark because of their peanut allergy. We are giving those fans, especially kids, a chance to experience the ballpark atmosphere. The Whitecaps return home to kick off a 10-game homestand on Tuesday, May 26 against the Quad Cities River Bandits at 6:35 p.m. Season, group, and individual tickets are on sale and can be purchased at the West Michigan Glass Block Ticket Office at Fifth Third Ballpark, by calling the Whitecaps front office at 616-784-4131 or visiting www.whitecapsbaseball.com. To reserve tickets fans should call 313-471-2361 and ask about the peanut-free suites for more information. " Thanks to Daryl Kleiman of the Detroit Tigers for this information. Daryl, hope you don't mind I've cut and pasted directly from your email! "The Riversharks announced today that they will be adding a peanut free section to Campbell’s Field. Suite 319 will now serve only foods that do not contain peanuts or any peanut products or oils. Tickets in this section will be sold at the regular prices instead of suite prices. " For more information, please visit http://www.riversharks.com/news/?news_id=921 or call 1.866.SHARKS.9. "The times they are a-changin"--peanut-free and food-free zones, peanut-free games and gluten-free snacks at the ballpark! It's nice to see how baseball teams are making such an effort to reach out to fans on restricted diets! The Phoenix Fanster reported that the Arizona Diamondbacks will be offering gluten-free snacks and beer at games this season: Take Me Out to the Ball Game (Gluten-free Remix). I received a tip from a reader (Thanks, G!) about the June 25, 2009 St. Paul Saints game and confirmed the details with Wendy Wessel, Coordinator of Food Allergy Support Group of Minnesota. This is the 5th year of the food-free section at a St. Paul Saints baseball game! You heard right--peanut-free, nut-free, completely food-free! Wendy explained the arrangements: "They arrange for us to reserve the top several rows of a section, with an empty "buffer" row between our section and the rows below. Our area gets extra cleaning before the game. Their food vendors cannot try to sell food in our area. They place extra ushers in the aisles to communicate the accommodations with other fans if they try to sit in the empty row or bring food in our area. Some of our attendees bring snacks to the game but go to main walkways under the bleachers to have them and then they return to their seat. Drinks are allowed in our area." Ticket information for the game will be available at the end of April at www.foodallergysupportmn.org. We are happy to hear that "Peanut Free Night" returns to Alliant Energy Field again this season. "No products containing peanuts or peanut oil will be sold or allowed in the ballpark for the Wednesday, May 20 game" the Lumberkings play against Lansing. Peanut-free seating areas are springing up all over! Out of Lowell, Massachusetts, comes news of two peanut free night games at the Lowell Spinners, Class-A Affiliate of the Red Sox, during the 2009 season. The Spinner have set Wednesday, July 1 and Sunday, August 2 as Peanut Free nights. Jon Boswell, Media Relations Manager for the Spinners, explained "Both games are the first games of homestands, giving us an opportunity to thoroughly power wash our stadium and clean our concession stands. No peanuts or products containing peanuts will be sold that night." "Individual tickets for our 2009 season go on sale Tuesday, March 17 and group tickets can be booked now through our Spinners Ticket Office at 978-459-1702. Ticket prices range from just $4 for standing room to $8, making Spinners games affordable for the entire family. Additionally, on our second Peanut Free game, as part of our Sunday Kid’s Days, children are welcome to stay after the game to run the bases on the field." Not bad, eh? 2 peanut-free games, and check out those ticket prices! That's a steal! I am not sure if any tickets remain, but there were 3 more additional Red Sox games with peanut-free seating announced this week. So exciting! To inquire about tickets or get on the waiting list for next season, send an email to rlathamATredsox.com. (**Note: Families may purchase tickets to more than one game**). Tickets are sold on a first come, first serve basis and are $75 for seats, and $25 for standing room. May 17th Padres v. Cincinnati Reds Game at 1:05 p.m. The gate value of tickets is $50, which all participants will be able to purchase at the discounted $25 price using our promotion code. PEANUT for the 50% discount. Peanut-Free Ticket Sales or www.sandiegofoodallergy.org and follow the link from there. To prepare for the event, the Padres will power wash the seating section, have trained emergency responders aware of our sections needs, remove peanut items from the vendors in the immediate concourse area above the section, post "Peanut Free Zone" signs around the section with ushers to help insure compliance. Yes, it's that time of the year. News of more peanut-free, peanut-reduced, food-free and allergy friendly games is beginning to trickle in, as spring draws near. The Red Sox will be offering several games with a peanut allergy friendly zone or section to those on the waiting list. You can request the waiting list for the peanut allergy friendly section by calling the ticket office at 877-RED-SOX9. Based on what I can gather, it's a pretty long list, but if you aren't lucky enough to get the call or email this year, Fenway will be sure to follow up with you next year. This is not Fenway's first venture into offering accomodations to peanut allergic fans, as we were reminded by a reader several months ago--Seats for Peanut Allergic Red Sox Fans. With the removal of Conigliaro's Corner, the peanut allergy friendly seating will be in the Coca Cola Left Field Pavilion this year. Seats are $75 and standing room is $25. We understand that there will be several games for which peanut allergy friendly seating is available this season. Being a local, I must say thanks again to the Red Sox and the folks at Fenway for making these seats available! 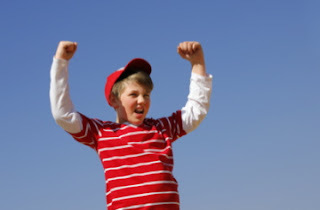 Over at foodallergysupport.org, members report additional "peanut-free" and food allergy aware baseball games. With their permission, I am cutting and pasting it here too. Call 301-815-9900 to find out about Thirsty Thursday in the Keys Cafe. We recognize our fans with peanut allergies by making the stadium peanut-free tonight! Find out about all our Cafe theme nights. Individual game tickets aren't available for purchase (at least online) yet. From Loudoun County (or western Fairfax), it's only about an hour to the ballpark. for Peanut/ Nut Reduced Zone at Rogers Centre. Thanks to a tremendous response to games in 2008, the Toronto Blue Jays are pleased to once again offer families dealing with life threatening allergies a dedicated, comfortable and safe seating zone from which to enjoy the game. Returning for six games in 2009 is the Peanut/Nut Reduced Zone seating at Rogers Centre. The games are highlighted by a Boston Red Sox match-up in July and a New York Yankee visit in September. The Executive Lounge, which holds up to 80 people, will be cleaned in advance and devoted to the exclusive use of families who live with peanut/nut and other severe allergies. When the program was first announced in 2008, 40% of tickets for the first three dates sold out in two days. Tickets for the Executive Lounge, located near Gate 3, are $45 per person (tax included). Families will be allowed to bring some approved snacks into the suite, as well as have the option to purchase specially selected food and beverage items. During these games, peanut and nut-based snacks will not be permitted into the Executive Lounge. The good people at Washington FEAST were kind enough to pass the following news on to Food Allergy Buzz. 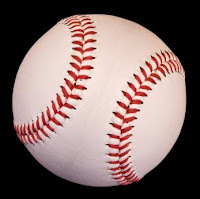 A special thanks to Michael San Soucie for this info, and thanks to the individuals and groups responsible for arranging the peanut-free zone baseball games in Seattle and Tacoma this season. "The Seattle Mariners are doubling their efforts this year to provide baseball in a safer environment for those with peanut allergies. We thought we had fun last year going to two Mariner games. For the 2009 season, they will be offering FOUR games during the season with a peanut free zone. And due to your requests I received and passed on to the Mariners, the first one is a Sunday day game! Play Ball! Here are the dates, times, and opponents for the games being offered this upcoming season. Keep your eyes out for more information at a later date regarding ticket pricing and how to purchase tickets. The Mariners are also moving our group a bit closer to home plate this season. Our seating area will be sections 313 to 315 which provides somewhere between 200 and 250 seats per game depending on how we establish the safety buffer zones. Last seasons sections accommodated right around 150 per game with the buffer zones. Also remember that Seattle Children's Hospital is sponsoring another baseball event on Sunday, May 24th at the Tacoma Rainiers game. This event will be held on one of the party decks at Cheney Stadium. The party decks provide a great atmosphere for watching the game and mingling at the same time." A reader wrote to say that Fenway Park in Boston has peanut free seating. If you are interested in the peanut free seating area, you must contact the Red Sox and request to be put on the waiting list. The reader says that those on the waiting list typically receive a phone call when seats are available in Conigliaro's Corner. In the past, tickets have run about $25 each. This is great information! Thanks so much for sending it. 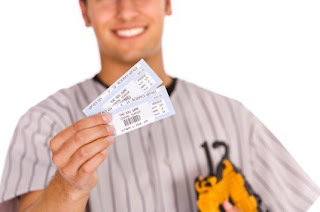 If anyone else has additional information to share about peanut free seating at Fenway or any other ballpark, please email me, jennifer@foodallergybuzz.com, and I'll pass on the information about these sought-after tickets. We just had our first snow yesterday, December 7, and I've spotted the first mention of peanut free baseball for the 2009 season. If you followed Food Allergy Buzz during the summer, you'll recall my penchant for following all the baseball games with special accommodations for food allergic and specifically peanut allergic fans. I can't stop now! Here is the press release for the first one I spotted for 2009. The River City Rascals in O'Fallon, Missouri, along with Gateway FEAST (Food Allergy, Eczema, and Asthma Support Team) have planned Peanut-Safe Wednesdays in Section 109. To purchase tickets, call 636-240-BATS and ask about the Peanut-Safe section, #109. 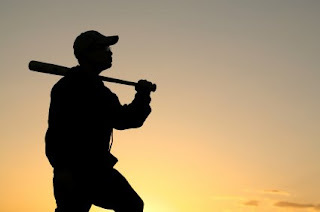 Please email me, jenniferATfoodallergybuzz.com, with any news of peanut-free, food-free and other special accommodations for the upcoming baseball season. We'll help spread the word!